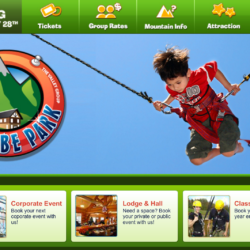 Chicopee Tube Park features fun for every season! 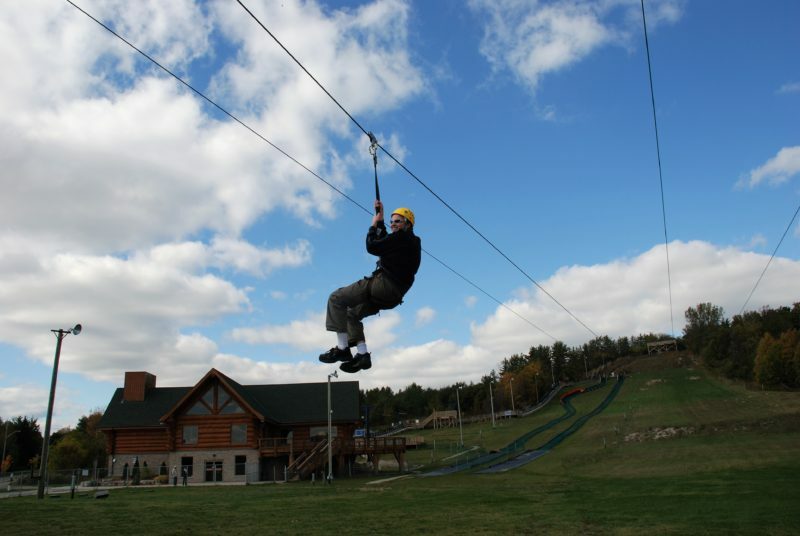 Whether tubing down their snowy hill in winter, or zip lining and tube sliding in the warmer months, Chicopee Tube Park has fun for the entire family. Available for corporate and private functions including birthday parties, their lounge area comes complete with free Wi-Fi internet access and big screen monitors that are computer accessible for presentations. The hill at Chicopee Tube Park is 250 ft high and 900 ft long. 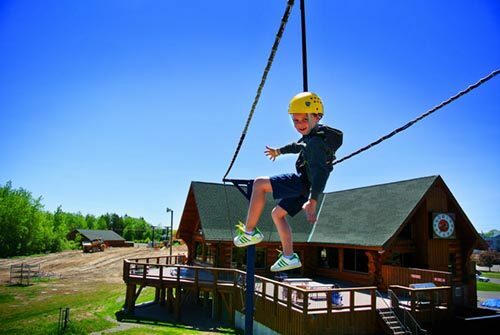 With 6 different chutes for tubing, guests won’t have to wait long for their turn! A carpet conveyor belt carries tubers and tubes back to the top to enjoy another run. After hours of playing in the snow, warm up in the Chalet Café and licensed Ranger Lounge. No snow? No problem! Enjoy the fun of tubing in the summer with Chicopee Tube Park’s dry, waterless tube slide. A straight and a curved chute allow riders to enjoy the same slippery runs of winter tubing without the snow. Zip lining is available from spring to fall. 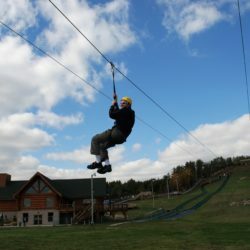 There is a shorter track for young or first-time zip liners, and a longer track for more experienced zip liners. Travel at speeds of 30-45 km/hour, with a series of springs to bring riders to a gradual stop. Enjoy Eurobungy – a trampoline that allows jumpers to reach heights of 25 feet. 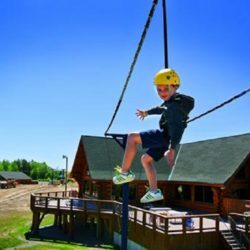 Get a taste for tightrope walking on the horizontal ropes, or climb the Spider Web, a tall climbing tower with a bird’s eye view of the park. Located just five minutes from the 401, Chicopee Tube Park is a short slide away from shopping, dining, entertainment, and accommodations including the Hampton Inn and Suites, and Best Western Kitchener Waterloo. 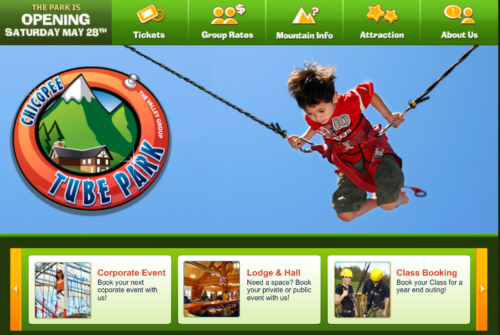 The tube park is open seasonally for winter and summer fun. Check their website for more information.